Our clients can avail from us a niche range of Guinea Fowl Broiler Grower Feed (5 – 10 Weeks) at industry leading prices. The entire range is formulated using quality ingredients in tandem with laid industry standards on international level. Finely grounded whilst retaining its natural nutritional value, this range finds takers on a global scale. The livestock become healthy, well-grown and agile. We make sure that it is hygienically processed and is free from any adulteration, hence, is safe to consume. We specialize in providing our valued patrons with a quality-tested Guinea Fowl Starter Feed which is acclaimed for its rich protein, cruder fiber and calcium content. Its ingredients such as Grains, Pulses, Soy Meal, Corn Gluten Meal to name a few are procured from reputed vendors across the globe. 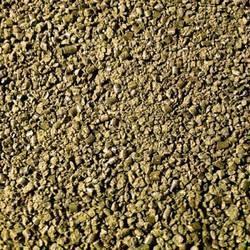 Our experts process it in coarse mash and pellet form and pack it safely under the brand name of “Anupam”. 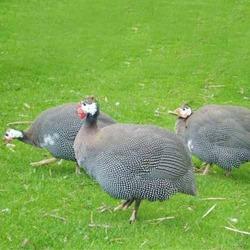 This range is widely appreciated and recommended by eminent veterinarians all over the world for Guinea Fowl. 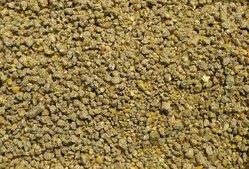 Guinea Fowl Finisher Feed offered by us is widely acclaimed for its niche quality and impeccable quality. Owing to its high nutritional value and hygienic make, it is found to Increases food conversion, regulate bowel movements and is very easy to digest. It keeps the Guinea Fowl healthy and increases livability whilst improving the hatchability of the breeder. 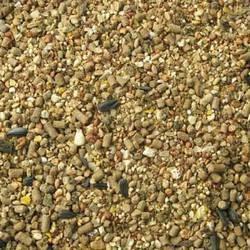 Our valued patrons can avail this 100% Vegetarian feed in coarse mash and pellet form at highly competitive prices.